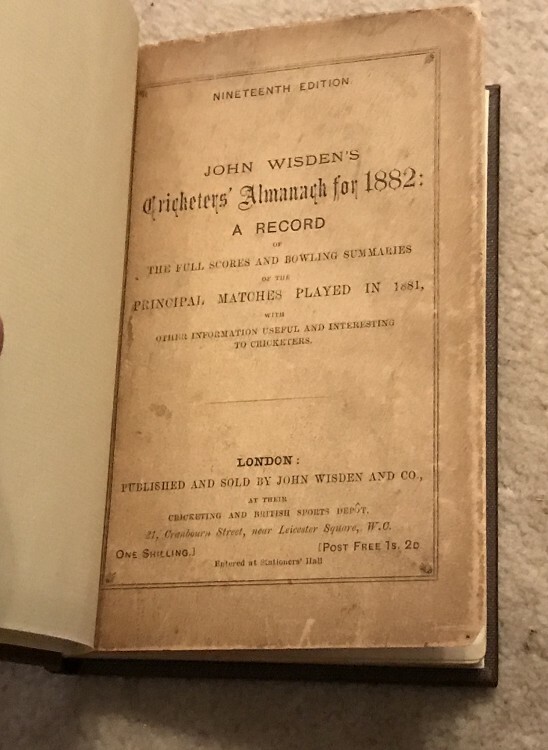 This lot is an 1882 Rebound Wisden , with the original covers bound within. This is the 19th edition and the the range of the harder to get years in Original form. The covers are bound within and although a bit dark and worn to the edges they are very nice. Internally wonderful for such an old book, clean pages , hardly a spot , it doesnt look like it has been read too often. Tightly bound.